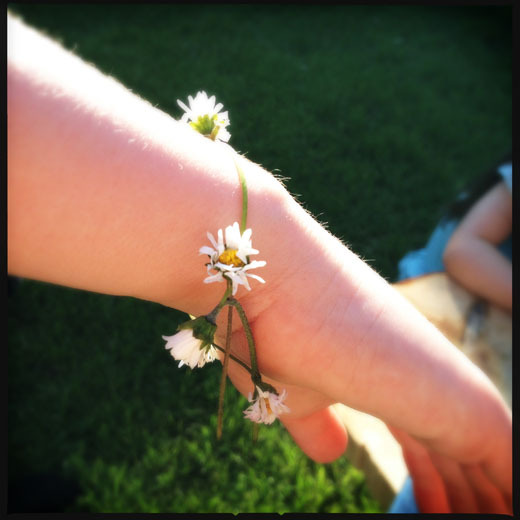 Every little girl needs to learn how to make a daisy chain, so here we show you how to pass that skill on. Find your daisies. A good daisy is short and has a thick stem so it is strong and fully open. You can also find ones with pink tips or ones that are just white. Pick a large handful, but remember that they won’t keep for more than a couple of hours before they shrivel up. 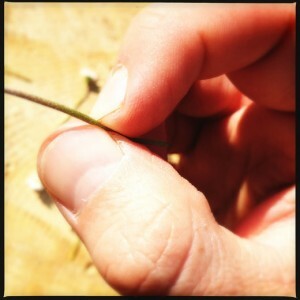 Make a small cut at the base of the stem with your thumb nail. 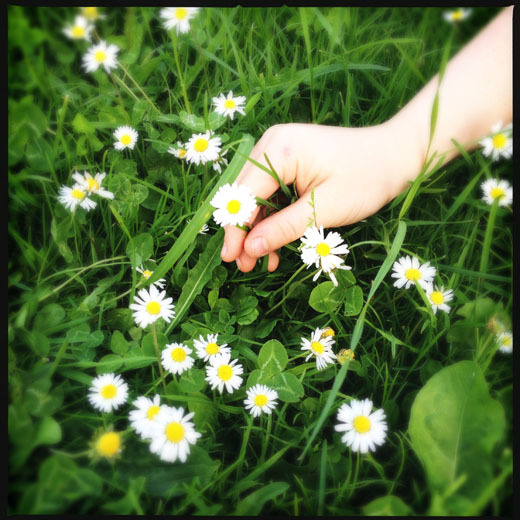 Take care not to make the slit too big, it should be just a bit longer than the width of the daisy stem. Make sure the slit doesn’t go all the way to the bottom. 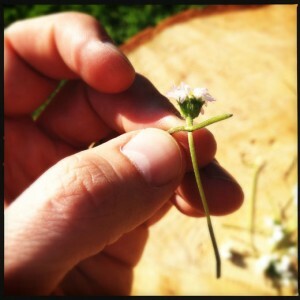 Then thread the stem of another daisy through the slit, and repeat the process to make the chain. 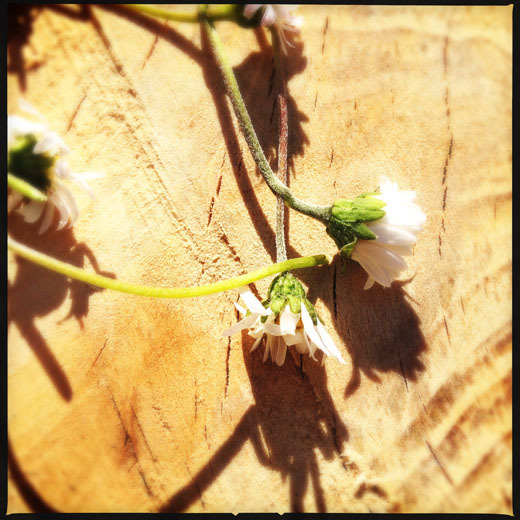 When your daisy chain is the right length, make a slit at the top of the last stem near the head, and thread the last daisy through the small slit in the first stem.